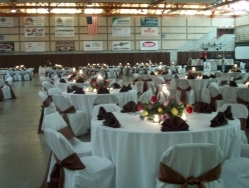 Choose from our many options for your reception like our Arena, which accommodates up to 700 round table style, or envision a more intimate setting perfect for 200 of your closest friends and family in our Upper Lobby. Undoubtedly, you will be the star when you choose our Theater for a unique and romantic ceremony, which will accommodate 500 guests. Complete with wall-to-wall mirrors and plenty of space for all your bridesmaids, our star vanity rooms are perfect for those intimate moments shared between friends and family before that monumental walk down the aisle. 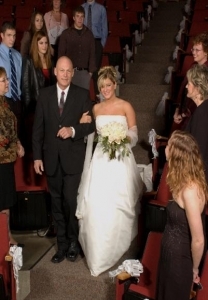 The Civic Center offers limitless options for your wedding ceremony and/or reception. Working together with our wedding coordinator, we will cater to your every need making certain your big day is unforgettable. After all, this is your day! 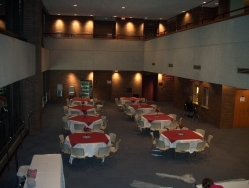 If you're looking for a unique location for your wedding ceremony or reception that is flexible and affordable, look no further than the Civic Center in historic downtown Decatur. We hope you consider the individuality and the universality of our venue when planning the day that begins the rest of your life. Select area you are interested in.